Sign Up For Auto Pay | Save $$ & Win! *Purchase NOT necessary. Customer must retain enrollment in AutoPay program for a minimum of 12 months. 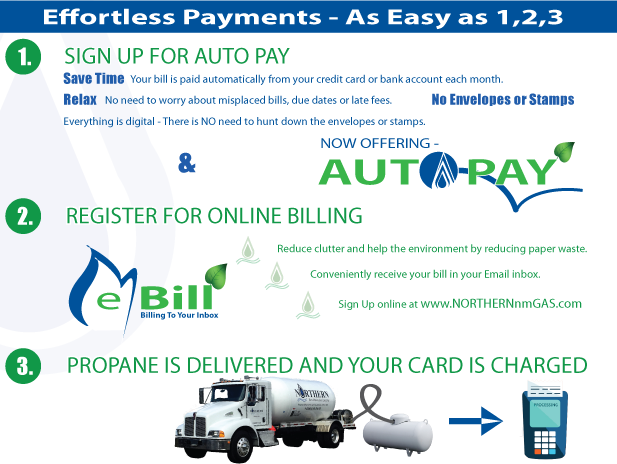 Sign Up For Northern AutoPay Today! If you detect a gas leak, immediately evacuate everyone from the house or business and call Northern at 800-916-2510, or your local fire department.